Volunteers are the heart of this ministry. Whether it’s being a mentor, a photographer, or a fundraiser, we need volunteers in order to make a difference in people’s lives. We care deeply about our volunteers and often we will hear that God used this as a place of healing and restoration for them and not just for the kids who they serve. 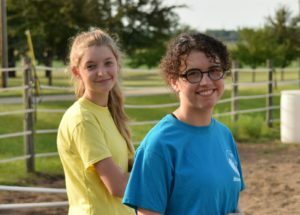 Whatever your experience level, your gifts, your age, or your personality, we would love to talk to you about volunteer opportunities at the ranch. If you have a passion or skill-set that we do not have listed, just contact us and we can find a place to get you plugged in! Throughout the year we need many different types of volunteers, so if you are interested please let us know! If you are interested specifically in mentoring please fill out the mentor application. If you are interested in any other kind of volunteer position, please fill out the general volunteer application. For a short description of some of our volunteer needs, please read below. Mentors come on a weekly basis throughout the summer or fall to meet one-on-one with a participant. 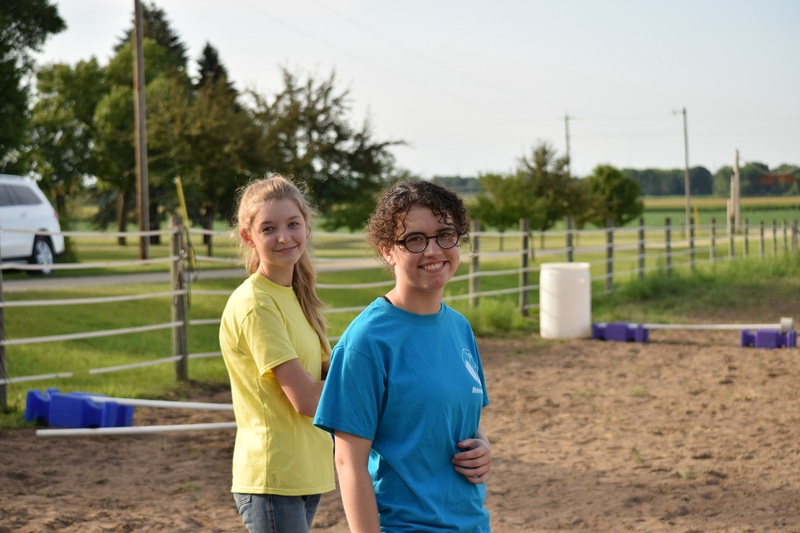 Throughout the season they build a supportive, loving relationship with the participant through working on chores and horsemanship skills together. Mentors are required to be Christians with a grounded, growing relationship with God, be 18 years or older, have a love for kids and teens, and demonstrate reliability. This is our greatest volunteer need at Haven Acres, and since it is working one-on-one with kids and teens we have a thorough application and interview process. Don’t know the horse stuff? 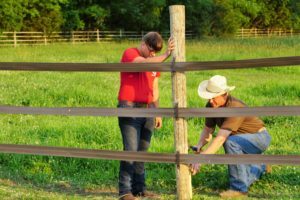 There’s 6 weeks of training in the spring to teach all the mentors the basics of safety and horsemanship skills. Mentor applications are due by April 1st this year. Training will begin in April. Mavericks are weekly volunteers during the summer or fall who provide extra support on the ground for the mentors. 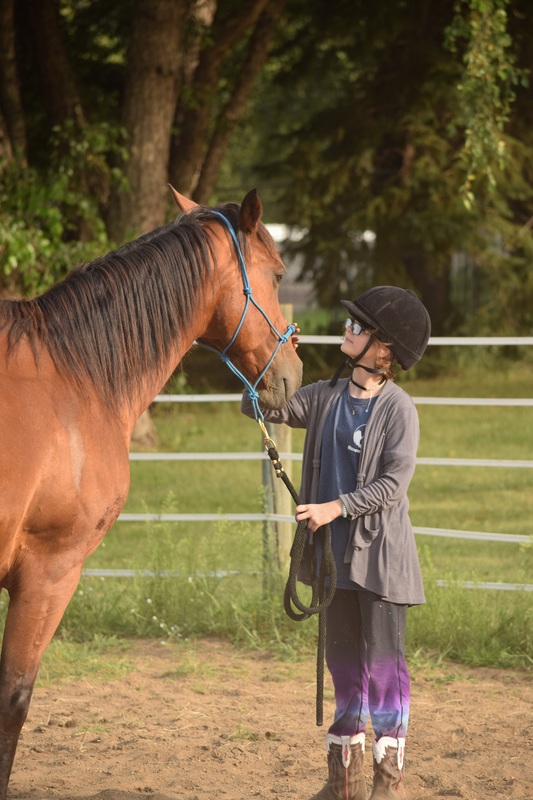 Mavericks can help with the horses if a need arises, can run errands during the session, or be an extra set of eyes to make sure everything is running smoothly. 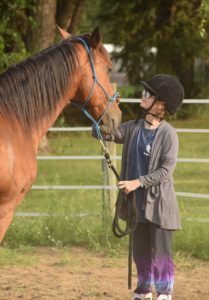 Mavericks are required to be 14 years or older, demonstrate proficient horsemanship skills, and have a servant’s heart. Often our mavericks are teenagers who have been riding for years and want to help but aren’t old enough to be a mentor yet. We couldn’t do these sessions without the support of our mavericks! Maverick applications are due by April 1st this year. Training will begin in April. 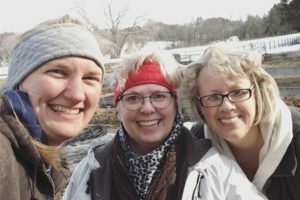 Our Deaf and Hard of Hearing program runs almost identical to our regular mentorship program, but with deaf/hard of hearing mentors and ASL interpreters. ASL interpreters greatly help the communication between staff, volunteers, and participants during sessions. Fluency in ASL is required. and this is a weekly commitment or a sub position in the summer. Our ASL interpreters are absolutely necessary for us to be able to run the D/HH program! 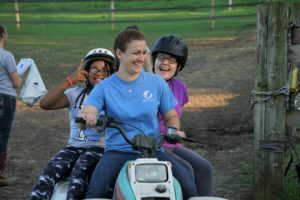 Great pictures that capture special moments at the ranch are invaluable to us as we update the website, post on social media, make gifts for the participants and volunteers, and more. Reliable photographers, whether professional or not, are so important for the ranch! If you have any interest in using your photography skills to impact this ministry, please reach out to us. Even if you’re “just” a mom with a nice camera. We can’t overemphasize how much we appreciate pictures of the goings-on at the ranch! This is a weekly commitment throughout the season (or occasionally at special events). While the positions listed above are what we need most often, there are many other ways that you could help build the kingdom through serving at Haven Acres. 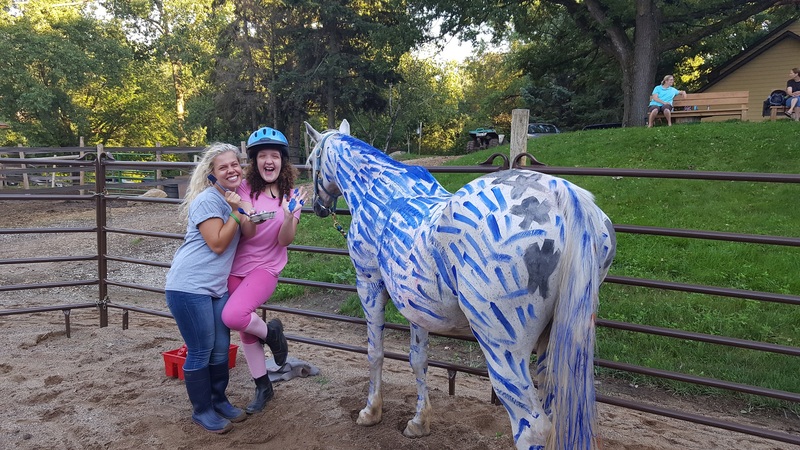 We need mechanics, artists/graphic designers, office help, horse training and exercising (for those with proficient skills), grant writers, occasional event and fundraiser help, etc. 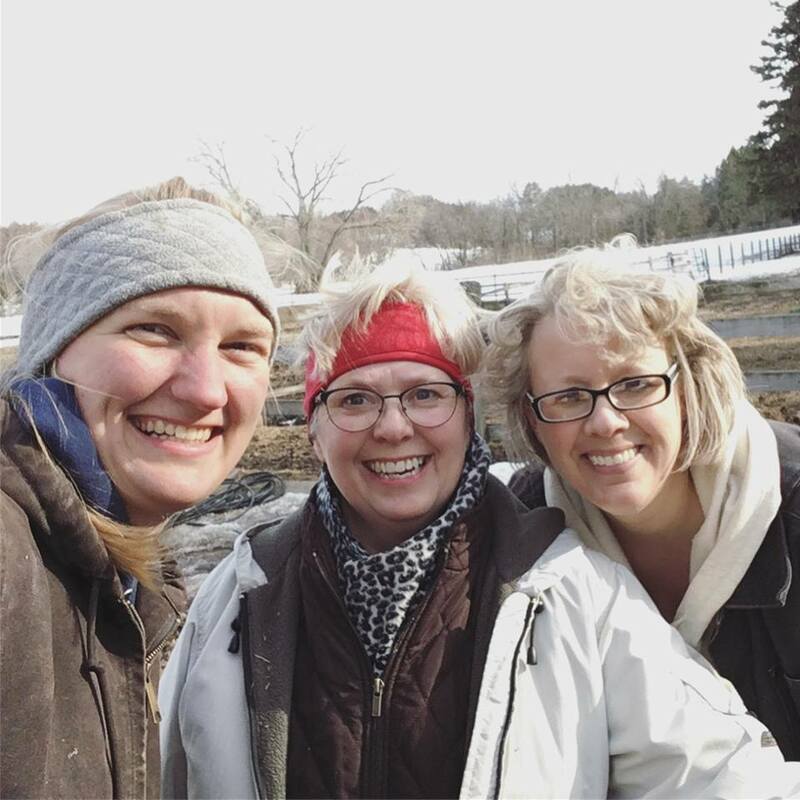 If you would like to support Haven Acres but aren’t sure how, please contact us and we would love to see if we can find you a niche. We need the Spirit of God working through all parts of the Body for this ministry to glorify Him! For more information or a complete service description of each position, please send us an email at info@havenacresmn.org.